What is unique about the care at Dr Bawa & Associates? We work on not just removing sickness but also work on optimizing health, weight and looks. Most physicians do not understand how to work with bio-identical hormones but we can use these to help optimize health. We also can use medications, natural supplements and diet plans to help optimize weight. Outward appearances make a difference to a person’s self esteem and outlook in life, and we can help make people look younger by using lasers to help tighten skin and can use botox and fillers to optimize looks. Dr. Bawa has also undergone training on scar removal and can help improve appearance of scars if need be. 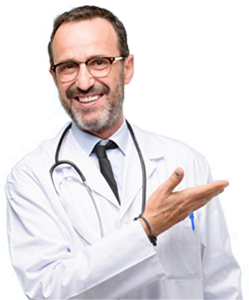 How can I be sure I’ll get quality healthcare at Dr Bawa & Associates? We work hard to make sure that our patients get the best care possible. Dr. Bawa puts his name behind the work of all our providers and oversees the performance of our group to make sure that we are providing the best care possible. We send out requests for reviews after every visit and look very carefully at what our customers think of our performance and we continuously keep making improvements to provide the best quality care possible. Will you get my records from my previous group if I change to Dr Bawa & Associates? Yes, you simply need to request that your records be transferred from your current group. A release form is available in our office, or you can click here to download and print the form now. We are often times able to add on these procedures on the same day although there might be a longer wait as we have to make sure that other patients are not waiting too long. If you know that you need these things done, you can make a double appointment. Does insurance cover any of the aesthetic procedures? Insurance does not cover any aesthetic procedures. We can do hormone pellets. We go above and beyond the normal protocols of Biote and other branded hormone pellets. Dr. Bawa goes to numerous conferences and incorporates the latest evidence when it comes to hormone pellets and bio-identical hormone creams. How much is it to do bioidentical hormones? Pellets? Hormone pellets for women cost $350 but they last for four months. If cost is an issue, you can put a credit card on file and the system automatically deducts $100 for four months. For men, pellets last 4-6 months and cost $600. Alternatively men can put a credit card of file and it would deduct $125 a month for six months. If you are doing pellets, the protocol involves using blood work so a saliva test is not necessary. For women that are still menstruating or are less than 50 years of age, saliva tests are more accurate than blood work. Women who are on hormone creams as well, do better with a saliva test as the topical hormones show up better in a saliva test than in blood work. Does insurance cover botox for Headaches? For neck pain? For excessive sweating? Muscle spasms after stroke? Insurance cover botox for migraines if the migraines occur about 15 days a month and last about four hours and the patient has tried 2-3 preventative medications. Botox is also covered if someone has ‘cervical dystonia’ which is muscle spasms in neck. We have a machine called Myoguide that helps to find which muscles are tight and we can give botox into those muscles to help relax them. Insurance will cover botox for excessive sweating in hands or underams. Insurance requires that you have tried prescription strength topical agents and sometimes even require that you have tried some oral medications to decrease sweating. Insurance covers botox use for muscle spasms after having a stroke.